The blue crab is causing problems in Spain. 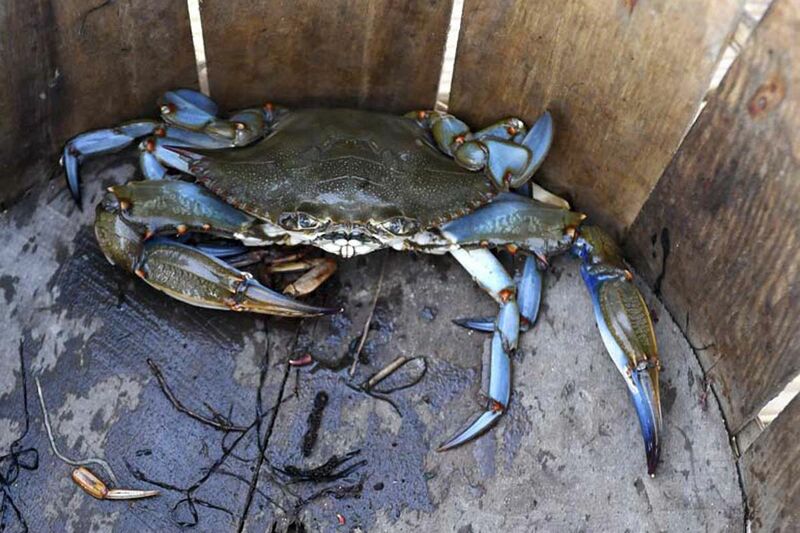 Iconic to the Jersey Shore, the blue crab evokes fond memories of spreading out newspapers, cracking shells, and scraping away for bits of succulent meat. But for some Europeans, the crab is a pugnacious, out-of-control “invasive voracious alien species, with no known predators,” destroying fishing nets and killing other prized sea critters, according to a recent article published by a network of universities in Spain. The universities are based in Valencia, on Spain’s southeastern coast off the Mediterranean Sea. The crabs started appearing in the Ebro Delta in 2012 and have expanded into the sea, rivers, and wetlands. University of Alicante Marine Research Centre scientist Carmen Barberá said the crab is spreading faster than researchers and officials can react. A collaboration of scientists and officials is underway to figure out how to control the crustacean. “This crab has potential high fertility and survival rates, which could also be the reason why it has been established in this area successfully,” the article states. The blue crab, the same species celebrated in Maryland, is native to the Atlantic Coast. It’s abundant in New Jersey’s saltwater bays, creeks, and rivers along the entire coast. The crab’s Latin name, Callinectes sapidus, literally means beautiful (calli) swimmer (nectes) that is savory (sapidus). And the last part is why it’s so popular with recreational crabbers, seen dropping lines of string off docks, piers, bulkheads, bridges, and boats waiting for that unmistakable tug under the water and anticipating the taste of Old Bay seasoning. But, in Valencia, it’s a nuisance. Fishermen complain the crabs disrupt the harvest of cuttlefish and prized king prawns. Blue crabs apparently also enjoy snacking on the prawns. Barberá suggests that local fishermen start using baskets instead of nets. The researcher said it’s not clear how the crabs have been able to spread so fast, suggesting humans could be helping through ballast water contained in ships. Water is used as ballast in ships to provide stability, but, when released in a different region of the globe, the water can contain aquatic life and plants that can wreak havoc on an ecosystem. Though scientists know where the crabs are located, more research is needed to learn how to control the spread. In fact, the problem is so big that the researchers suggest a national project to study the ecology and impact of the Atlantic Blue Crab. Joan Balagué, head of the fisherman’s association in Sant Carles de la Ràpita on the Ebro Delta, told the Guardian that blue crabs are now often the only catch. “It devours everything, and the catch of local crabs and cockles has fallen as a result,” Balagué said. Researchers say one of biggest potential ways to control the crabs is to, well, start eating them.